Check Jordan Public Holidays for the calendar year 2017. Check 2017 public holidays dates in Jordan for New Year’s Day, Labor Day, Independence Day, Eid al-Fitr, Eid al-Adha. * Islamic Holidays are approximate and may change according to the Lunar Calendar. 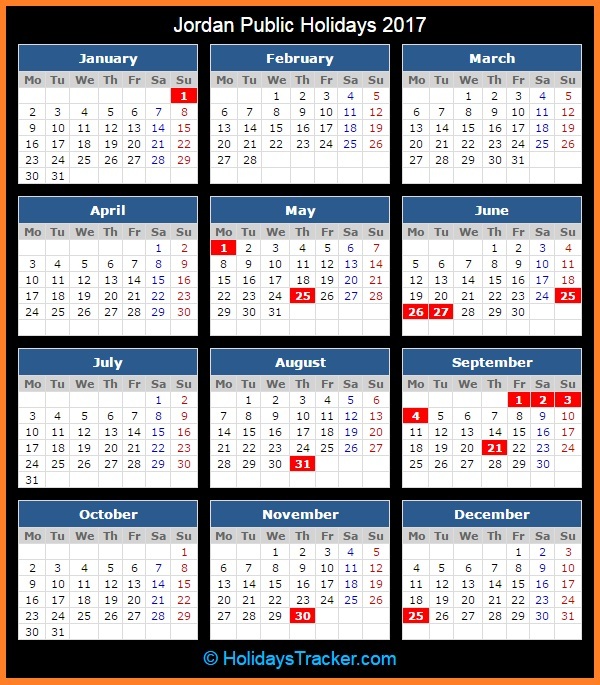 ** National Holidays will fall on the previous day of the weekend or on the next following day.